Pennock Point is a private community located in Jupiter, off the sparkling waters of the Loxahatchee River. This feature alone makes the community highly desirable, as it provides residents with stunning wide water views from the comforts of their own livingrooms. Many homes on Pennock Point have lofts and are able to accommodate boats. 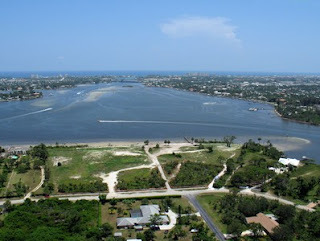 Pennock Point is located about 10 minutes from the beach and 5 minutes from I-95 and the Florida Turnpike. About 15-20 from your doorstep are the Gardens Mall, Downtown at the Gardens, and Legacy Place.